Last week, I started my WSET3 (Wine & Spirits Education Trust) classes. 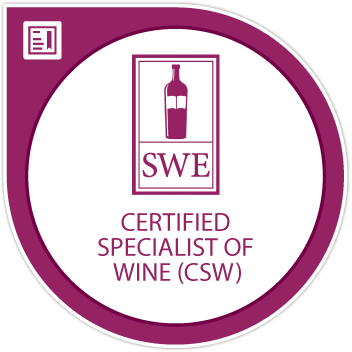 I passed my CSW (Certified Specialist of Wine) exam. Why add another wine credential? I’m a collector at heart. Kidding. In a nutshell, because the CSW doesn’t have a tasting component, whereas the WSET3 does. And I’ve been wanting to learn more about the systematic evaluation of wines. So, I’ll be hitting the wine books for the next twelve weeks. On the first night of class, we tasted and evaluated six wines using the WSET3 Systematic Approach to Tasting Wine (SAT). And I asked about whether the exam would account for the inherent subjectives involved in tasting wine. Our instructor explained that over the course of the next twelve weeks, we would be tasting a lot of wine together, and by the end of that time, we would have calibrated our palates both to a systemized standard, and relative to one another. I’m kind of struggling with this. For years, I’ve subscribed to the mantra, wine is good if you like it. Taste and perception are subjective. Just because I like a wine, doesn’t mean you will, too. And vice versa. Your jammy fruit-bomb might be my migraine in a bottle. Take White Zinfandel. I can’t stand the stuff — it tastes like rancid Capri-Sun. To me. And then there’s Norton. And while I try to be polite when a Norton crosses my path, at the end of my day, Norton is gross. It tastes like grape jelly in an ashtray. To me. But those are subjectives. Plenty of folks mainline White Zin, and inexplicably crave Norton. I think those folks are slightly insane, but again, subjectives. Can a wine be objectively evaluated based on systematic, standardized components? Or is subjective perception still nine-tenths of the law? Do we perceive a wine and then make a judgement on its quality . . . or do we judge the quality of a wine and then perceive it? This is waaaay too much philosophy for me. Take acidity, for example. The level of acidity (and pH) in a wine is ultimately objective and measurable. You can check your perceptions for accuracy, provided you’ve got the technical sheet for a particular wine. But I won’t have access to tech sheets for my WSET3 exam. I have to train my perception to a systemized standard. What if I’m more or less sensitive to acidity levels in a wine than another taster? What’s the difference between medium(-), medium, and medium(+)? My life would be a lot easier if I could just go with medium(ish). But you have to pick one. Just one. Can a wine still be good, very good, or even outstanding if you don’t like it on a subjective or emotional level? I’ve thought a lot about this (probably too much). And the closest analogy I can come up with to try and wrap my brain around it is . . . dog shows. A judge may evaluate a Komodor (the dog that looks like a giant car wash brush) as outstanding, based on certain systematic criteria (weight, muzzle, teeth, tail, and even the thickness of his whiskers), even though he/she may not like the dog on a subjective or emotional level. Last night, I tasted a Hunter Valley Semillon from Australia (in the name of practice). And while I didn’t care for the wine on a subjective or emotional level, I still evaluated it as a good wine. So maybe there’s hope for me yet. And then . . . I had to ruin it by looking up the peer and pro ratings for this particular wine on CellarTracker. Most folks rated it an outstanding wine. And I struggled to arrive at good with it. Can I calibrate my palate to a systemized standard over the next 12 weeks? We shall see. Hi, good luck! 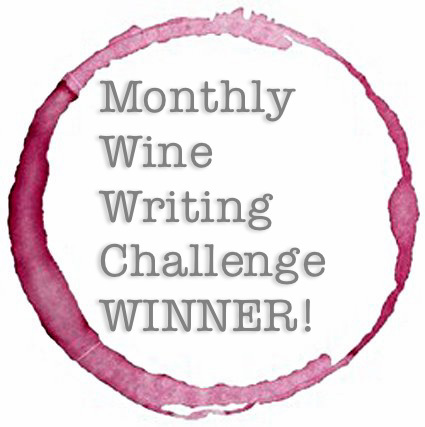 Which Hunter Valley Semillon was it? Thanks much . . . it was a Brokenwood Semillon, 2013. Cheers!! Ah, way too young, glad you are trying something that is very Aussie. Thanks, Heike . . . it is a fun journey!! Beats the heck out of chemistry class, that’s for sure! 😉 Cheers! Oh yes…there’s that. I’m still paying but I’m happy I did it! Just gotta finish up this paper then I’m done. No more exams anyway!